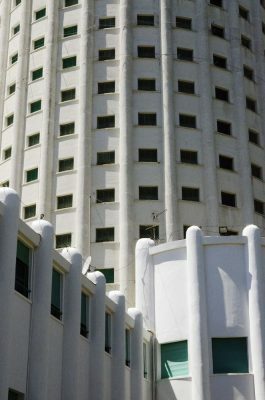 The Balilla Tower, main building of the complex of the marine colony “Edoardo Agnelli” was built in 1933. 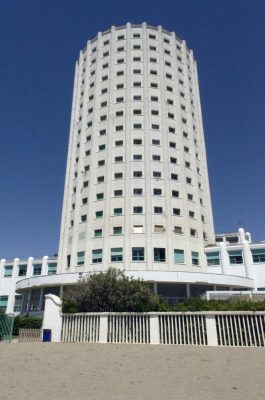 The tower is conceived as a single, endless dormitory with helical development, able to accommodate about 800 children of employees of the company FIAT. The building is perfectly preserved, and over the years has maintained its hotel function. 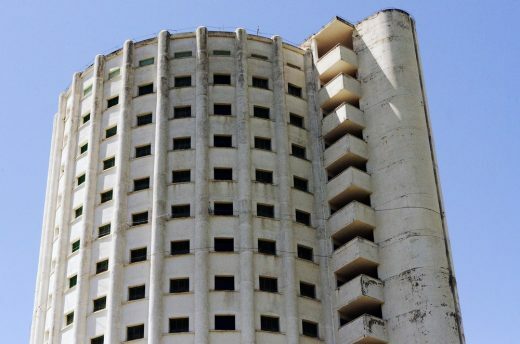 Located at the northern end of Marina di Massa, the “Edoardo Agnelli” Seaside Hostel (the former Balilla Tower, later known as the Fiat Tower) was designed by Vittorio Bonadè Bottino, an engineer from Turin, in 1933 and was built to accommodate 800 children. It was and still is today used as a summer camp for the children of FIAT personnel. The building complex is formed of three residences (the Tower, the Pinewoods, and the Terrace), a theatre, two buildings for the camp’s personnel and the custodian’s house. 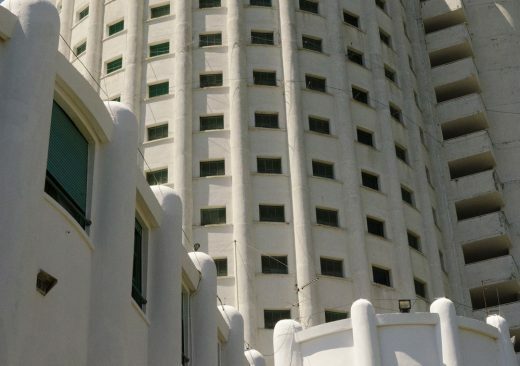 The name derives from the characteristic cylindrical shape of the main building. This is undoubtedly the best example of the “tower” type of seaside camp. 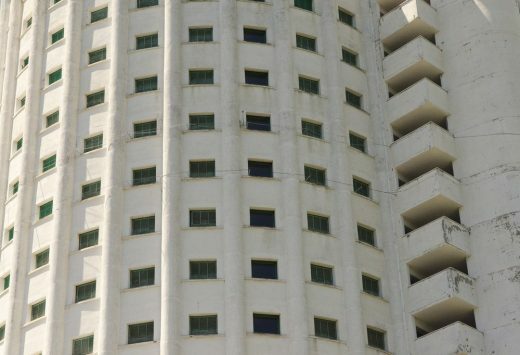 Fifty-two meters high with seventeen floors, the white profile of the tower is a landmark on the northern coast of Tuscany. The interior develops in a helical structure, around a central stairwell, forming an unbroken dormitory 420 meters long and 8 meters wide. The allusive reference to the propellers of an airplane is obvious. At the same time, the design serves as an evocative advertising image for the Turin-based industry. The building, perfectly conserved, retains most of its original finishing elements and materials. 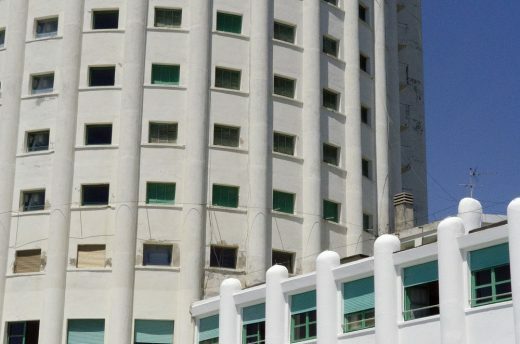 The marine environment is evoked by the predominant colours used in the building complex (white, blue and green).